Picture this: you just finished making your first DIY project, let’s say a floating shelf. It looks great, but there’s a problem, it’s kinda heavy. You know instinctively that the drywall isn’t going to hold the shelf plus everything you want to store on it, so you need to drill into a wall stud. Unless you’re living in an unfinished reno, your drywall is covering up your studs so it’s hard to tell exactly where they are. Enter our hero, the stud finder! 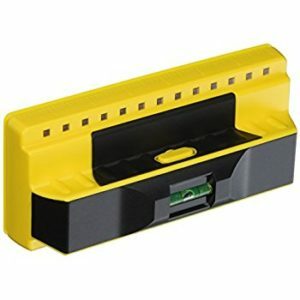 A stud finder is a crucial tool for anyone looking to spruce up their walls with furniture or decorations. 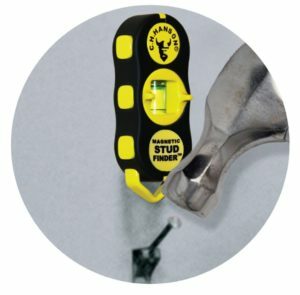 In this article, we’ll give you a quick rundown on how stud finders work, the different types that are out there, and also our recommendations for the best ones. By the end of this article you’ll be an expert on all studly matters, and will be able to answer the question of how it works, because you probably don’t even know exactly! Then you’ll be on your way finishing that project your significant other has been bugging you to finish for ages. Of course, that’s after you point it at yourself and say, “Well, I guess it works!” (duh, you stud). Alright studs and studettes, it’s time to study some stud finders! 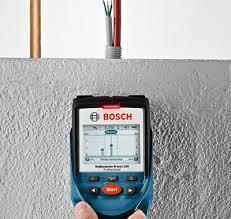 There are two main types of stud finders that dominate the market: electric and magnetic. Newer ones also use a small radar system, which we’ll also go over. Electric models can be a little confusing so we’ll try and explain it in layman’s terms. Technically what happens is that the electric sensor detects something called the relative permittivity, which you can think of as a sort of insulation value, or how well electricity would pass through a specific material. When the stud finder is placed over plain drywall, the sensor detects a certain range of permittivity which the detector knows is drywall (no beep). But when you move it around your wall and over top of drywall with a piece of wood underneath, it detects a different relative permittivity, within the range that the tool knows is drywall+wood, which causes the tool to beep or light up. Magnetic sensors basically do what you think they would, and detect magnetic material – AKA metal. Most (probably all, but you never know) drywall is i nstalled using small metal drywall screws, which is used to secure the drywall to the wooden struts. Then, it is covered up with compound to cover the screw holes and joints and eventually paint. But, a magnetic stud finder will detect the metal screws so you know where your stud is. Of course, this means you’ll need to trust that whoever installed the drywall actually did it properly and the screw is in a strut properly, but you should be fine in most cases. Of course, these are also useful for finding metal studs or pipes if that’s what you’re looking for. Radar detecting units are only just starting to become more popular as the technology becomes more affordable to produce and also shove inside a small enough unit to be useful. If you didn’t know, radar is actually an acronym RADAR, meaning RAdio Detection And Ranging. How it works is that a transmitter sends out many small pulses of radio waves, that when they come in contact with a material that reflects radio waves (in this case wood, pipes, electric wire etc.) then it bounces back and into a receiver in the radar unit. The sensor detects the location, timing and other information of the reflect radio waves to tell you about what they came in contact with. This is the same technology they use in fish finders. In the case of a stud finder, it can provide a very accurate depiction of what’s laying under your walls. 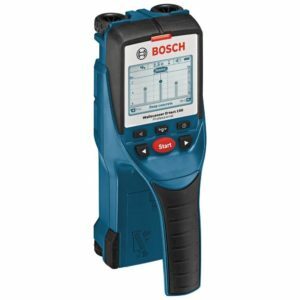 These units are still quite expensive however, but for professionals they are the preferred choice because of the accuracy they can provide. 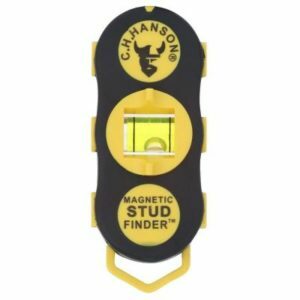 Now that you understand the difference between the three types of stud finders, we’re going to dive into our product reviews and find the best on for you. While other articles give you up to 12 reviews to read through, our team got together after a several hours of research and narrowed it down to just the best 3 to choose from, one of each kind: magnetic, electric and radar.